COMMENTARY ON WHO IS JESUS CHRIST? We will address the subject of Jesus’ humanity and divinity and discuss the real implications of the Transfiguration. Since therefore the children share in flesh and blood, he himself likewise partook of the same things, that through death he might destroy the one who has the power of death, that is, the devil, and deliver all those who through fear of death were subject to lifelong slavery. For surely it is not angels that he helps, but he helps the offspring of Abraham. Therefore he had to be made like his brothers in every respect, so that he might become a merciful and faithful high priest in the service of God, to make propitiation for the sins of the people. For because he himself has suffered when tempted, he is able to help those who are being tempted (Hebrews 2). Jesus did not primarily become human so He could empathize with us; He became human because He HAD to be human in order to share human death and thus fulfill the righteous requirements of the law. Human sin could only be paid for by human blood. Jesus became a man not to set us an example but to become sin for us and die for humanity’s sin. Only a human could carry and die for human sin. The law condemned humans to death; a human had to die. Because He suffered and died, because He became sin and in the flesh experienced God’s wrath toward sin—because of living in a sinful world, Jesus can empathize with us personally. Nevertheless, empathy was not the primary reason for His incarnation. In fact, we sinners were not the primary reason for Jesus to come to earth to live, die, and rise from death. The glory of God was the primary reason for what Jesus did, and Jesus came to die (Jn. 17:1-2). He did not have to ask God to confirm what He was to do; He did what He came to do, submitting to the Father at every step. Adventism insists that Jesus was eternally God. It even has a Fundamental Belief (#4) that sounds almost right and would not alert most Christians that something is “off”. In reality, however, Adventism does not believe in the classic Christian Trinity because Ellen White did not believe in it. The original Adventists were almost all anti-trinitarian and Arians, believing that Jesus was not the eternal, almighty God but that He came into being sometime after God the Father. This comment does not proclaim that Jesus is “one substance” with the Father. In fact, “one substance” is part of the classic definition the Trinity: the three Persons of the Trinity all share all the attributes of God. For example, Adventism teaches that Jesus is not omnipresent because He has a human body. But this idea is untrue. God is Spirit, and Jesus is still God even though He shares humanity. He is still omnipresent; if He were not, He would not be God. In order to be God, God must have all the attributes of God. There is no difference in substance between God the Father, the Son, and the Spirit. Therefore, despite all their public words, internally Adventists do not perceive Jesus to be the same substance as the Father and the Spirit. Yet God is One, and although there are three Persons—a mystery we cannot explain—He is not three beings all of whom are called God. Then, when Jesus told the men to get up, Moses and Elijah had left, and Jesus alone stood before them. 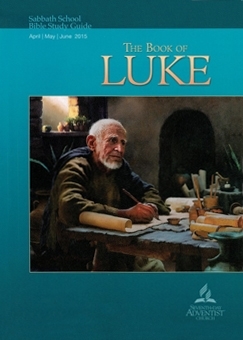 The Law and the Prophets had disappeared, and God’s voice had declared, “Listen To My SON!” No longer would God’s people look to the law and the prophets to understand how to please God; they would look to the Son who was about to die to take on the sin of humanity and bring to life all who trusted in Him. In emphasis of this startling revelation, Jesus told the three not to speak of what they had seen until after He arose from the dead. Until Jesus died and rose from death, the old covenant of the Law and also the prophets would be firmly in place. But when that sacrifice for sin was offered and death was undone, the new covenant would be in place. God gave a visual preview of the reality that was about to happen. Jesus would become the focus and point of worship and obedience that the law and the prophets had held for Israel. Jesus was fulfilling the law and the prophecies of a Messiah. He was the only One qualified for God’s people to honor. He was the substance that was replacing the shadows of the law (Col. 2:16-17; Heb. 10:1). Finally, this week’s lesson makes almost nothing of the fact that Jesus came to be a sacrifice for sin. Oh, it mentions it in passing, but the essence of who Jesus is and why He came is the cross and His resurrection from the dead. He is fully almighty God incarnated in a human body, and He came to pay the price He and the Father and the Spirit demanded for sin. He did not come to show us how to live or to give us principles to live by. He came to bring us from death to life through belief in His Sacrifice for sin. He had to be God in order to be able to bear the imputed sin of the entire human race, to be able to become sin and to endure the wrath of God against sin. He had to be human in order to offer an acceptable sacrifice. He had to shed human blood for human sin. His own law required it. Jesus came as our Substitute. Understanding His humanity and divinity is pointless without grasping that He came to bring us to life spiritually. We only know Him by believing that He paid for our natural depravity. When we repent and believe, we pass at that moment from death to life (Jn. 5:24), and we are sealed with the Holy Spirit of promise (Eph. 1:13-14). We don’t “know” Jesus by having an “experience” with Him. We know Him by trusting in His finished work and being born of the Spirit. Our new birth does not depend upon our efforts or closeness to Him. He does not “unborn” us—and we cannot be born again by understanding facts about Him. We are born again when we repent and believe that Jesus’ blood has propitiated God on my behalf. Everything changes when we are born again. We are adopted by the Father (Rom. 8:16). We are made alive and seated with Christ at the Father’s right hand in heavenly places (Eph. 2:1-7). We are given His work to do (Eph. 2:10). Jesus is not just the God/man who came and demonstrated how to live and left us a good example. He came to shed human blood for us so He could impute His own righteousness to us. Praise God for Jesus—the real Jesus who has completed the atonement and has borne all our sins in His body on the tree! Copyright 2015 BibleStudiesForAdventists.com. All rights reserved. Revised April 14, 2015. This website is published by Life Assurance Ministries, Camp Verde, Arizona, USA, the publisher of Proclamation! Magazine. Contact email: BibleStudiesForAdventists@gmail.com.